According to an article written by Alice Melao and published on September 5, 2018 in Parkinson’s Disease Today, tiny fatty vesicles that naturally circulate in the blood can effectively carry medications into the central nervous system, including into the brain, an early study in mice suggests. 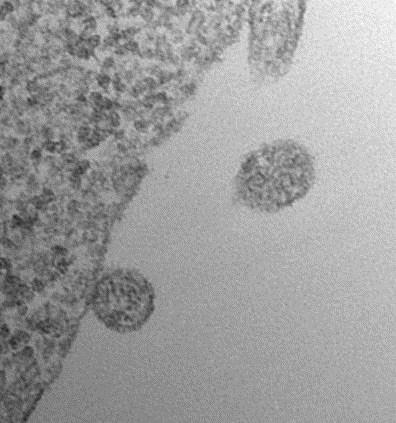 These blood vesicles, called exosomes, were able to successfully deliver dopamine directly to specific areas of the brain affected by Parkinson’s disease. The research study, “Dopamine-Loaded Blood Exosomes Targeted to Brain for Better Treatment of Parkinson’s Disease,” was published in the October 10, 2018 issue of Journal of Controlled Release. Parkinson’s disease is characterized by the progressive degeneration and death of nerve cells in the brain that produce dopamine (called dopaminergic neurons). Dopamine is a critical signaling molecule that regulates brain cell activity and function. Melao noted that, given the disease’s progressive nature researchers have focused on finding ways to prevent the death of dopaminergic neurons or to restore brain levels of dopamine. But a major challenge has been getting potential therapeutic agents across the blood-brain barrier — a semi-permeable membrane that protects the brain — and reach targeted areas. Researchers at Sichuan University in China explored the possibility of using exosomes as a vehicle for dopamine transport. The team isolated and purified exosomes from blood of mice, and labeled them with a green fluorescent tag to be able to track them easily. When researchers used these exosomes in mouse brain cells grown in the laboratory, they confirmed that the vesicles merged with cell membranes, and their content was released inside the cell, turning it green. Next, according to Melao, the researchers injected the exosomes into live mice and found that the fluorescent dye accumulated in the brain. Further experiments revealed that this brain-targeted activity of exosomes was dependent on the interaction of transferrin and transferrin receptor in brain cells. To better explore their therapeutic potential, researchers also loaded exosomes with dopamine and injected them into mice. The encapsulated dopamine accumulated in all major organs, including the brain. Mice that were given injections of free dopamine (without exosome use) showed increased levels of the compound in the liver, lung, and kidney, but not in the brain. With exosome-mediated delivery, dopamine levels in the brain were at least 15.7 times higher than those in animals treated with free dopamine. After analyzing mice brains, researchers found that exosomes could not only pass the blood-brain barrier, but they could reach deep areas such as the striatum and substantia nigra – brain areas most affected in Parkinson’s patients. Indeed, mice in a model of Parkinson’s disease that were given exosomes loaded with dopamine showed a 56.58% increase in dopamine levels in lesioned striatum areas compared to animals treated with a placebo. Overall, the investigational treatment strategy was safe for the animals with no changes in heart, liver, or kidney function detected, the researchers reported. Based on these findings, Melao says, researchers believe that exosomes could represent an attractive delivery system for targeted therapies against Parkinson’s and other diseases affecting the central nervous system.